Contact Kehilla Chair, Shannon Fitzpatrick, for more details or just show up! The social group is for anyone in their 20s-40s and you can bring your kids along (many of us do). 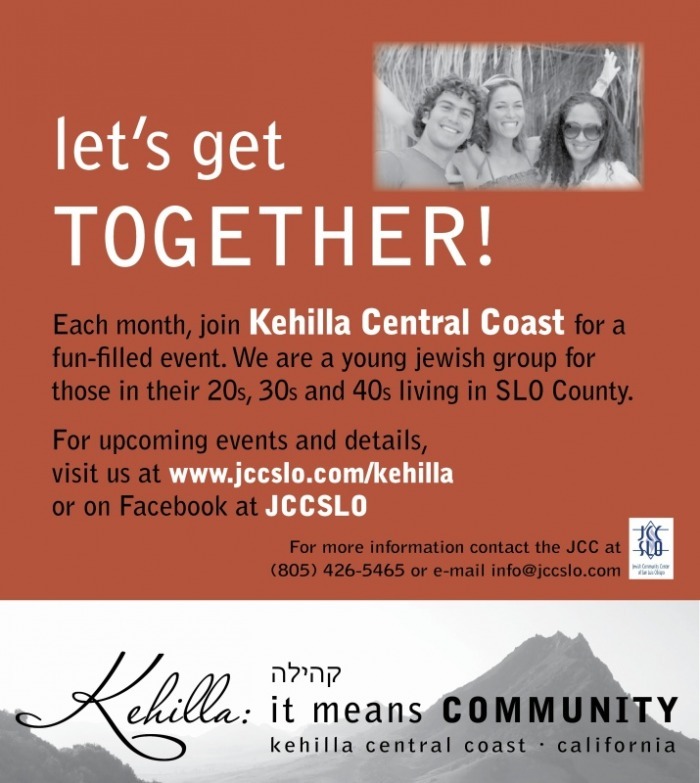 There is a surprising amount of young Jews living in beautiful SLO County, but never before has there been a way for us all to get together. We started off with a small dinner party - ages ranged from 25-45. Some of us are married, some of us are single, and some of us have kids. Whatever your story is, come to one of these events and meet some people that might become your lifetime friends. Kids welcome at all Kehilla events. 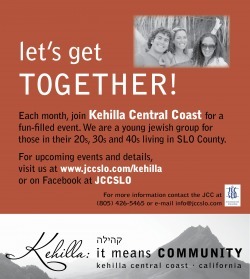 Kehilla (Hebrew: קהילה) ... it means Community.